Modern samples of mouse DNA were collected and compared to ancient samples dating mostly from the 10th to 12th century. Samples of house mouse DNA were collected from nine sites in Iceland, Narsaq in Greenland, and four sites near the Viking archaeological site, L’Anse aux Meadows, in Newfoundland. The ancient samples came from the Eastern and Western settlements in Greenland and four archaeological sites in Iceland. Analysis of mouse mitochondrial DNA showed that house mice (M. m. domesticus) hitched a lift with the Vikings, in the early 10th century, into Iceland, either from Norway or the northern part of the British Isles. From Iceland the mice continued their journey on Viking ships to settlements in Greenland. 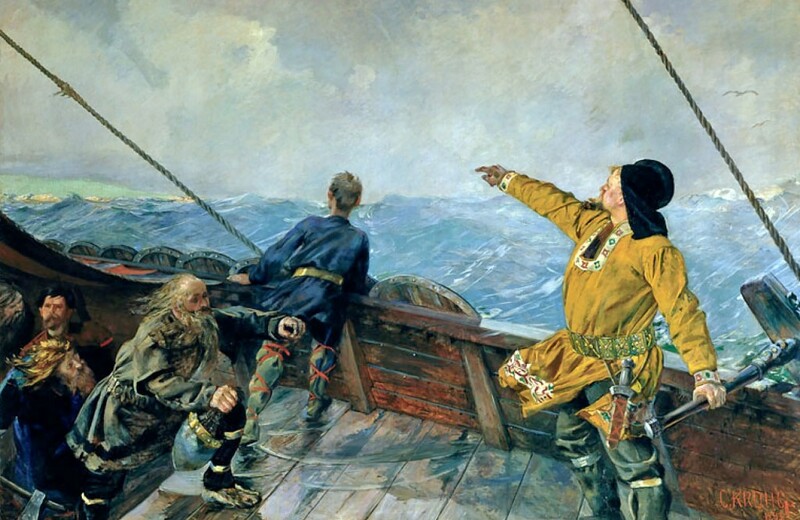 However, while descendants of these stowaways can still be found in Iceland, the early colonizers in Greenland have become extinct and their role has been filled by interloping Danish mice (M. m. musculus) brought by a second wave of European human immigrants.